Ayaan Hirsi Ali was a refugee from Somalia. Through sheer grit she has transformed herself into a forceful critic of what is wrong with Islam. In her latest book, Hirsi Ali urges the governments of the West—and the Trump Administration in particular—to take sides in this battle for the soul of Islam. She wants Washington to develop, with some urgency, an ‘anti-dawa strategy’ that will ‘tackle the menace of dawa’. Since the ultimate goal of dawa is ‘to destroy the political institutions of a free society and replace them with sharia’, should we not, she asks, neutralise the dawa activists first? She invokes Karl Popper, the philosopher, who wrote in 1945: ‘If we extend unlimited tolerance even to those who are intolerant, if we are not prepared to defend a tolerant society against the onslaught of the intolerant, then the tolerant will be destroyed, and tolerance with them.’ America has the right, she says, to be intolerant of the intolerant in order to safeguard its primordial tolerance. Many scholars have proposed democracy as the most proper criterion for assessing Islam. Yet democracy’s elections and popular rule often coexist with intolerance toward religious minorities and dissenters—the tyranny of the majority. Religious freedom adds respect for human rights to rule by the demos. It is principled and permanent: a universally valid principle that manifests human dignity. 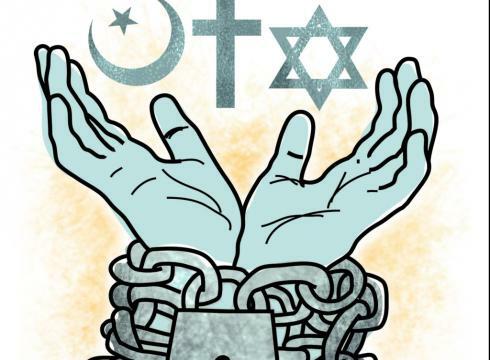 In this essay, I consider the state of religious freedom in the Muslim world—in particular, in Muslim-majority countries. Muslims, of course, are scattered throughout the world, but such states valuably reveal how Muslims treat dissenters and religious minorities when political power is at their disposal. Posted on February 6, 2017 February 1, 2017 by NeelabhPosted in ReligionTagged Islam, Public Discourse, Religious Freedom.